As the 2013 season looms closer everyday, we are getting closer and closer to finding out just what team we have with these Kansas City Royals, version 7.0(yes, Dayton, it’s year 7!). With that in mind, I have ten wishes I have for this Royals team and the season that is just around the corner. Wish #1-Eric Hosmer and Mike Moustakas rebound from disappointing Sophomore seasons. Big things were expected from Hos and Moose in 2012. Hosmer had a torrid spring, which had many thinking the sky is the limit(yes, even this guy!). Moose improved his defense last year and got off to a great start for the team. Unfortunately, by the end of the year these two pillars of the Royals youth movement were limping to the finish line-literally. Hosmer injured himself the last week of the season, while Moustakas was battling through a knee injury that bothered him most of the season. While Moose’s second half slump might be heavily connected to the knee injury, Hosmer’s seemed to be…well, it could be anything. Hosmer’s awful 2012 was a big part of why the Royals never really got going last year, and it seems a lot of 2013 hopes are pinned on him as well. If these two bounce back(which very seriously could happen), then Kansas City is one step closer to being the contender that management thinks they are this year. 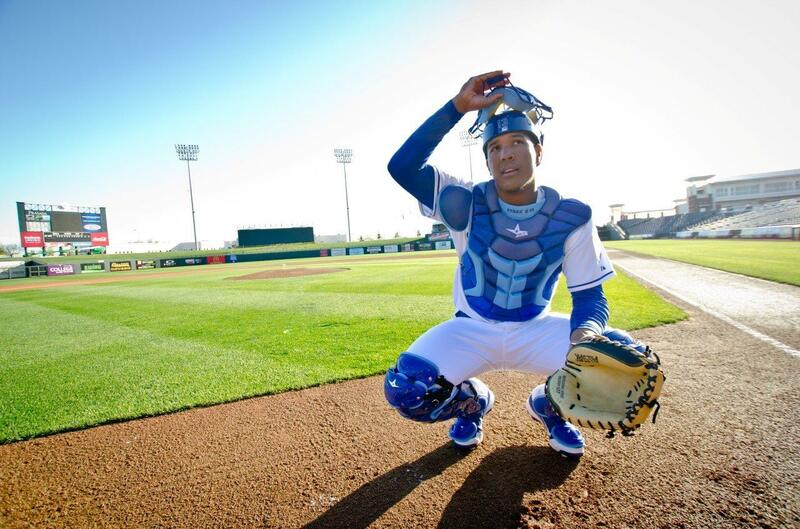 Wish #2-Salvador Perez goes injury free. Injuries really hurt the Royals last year. 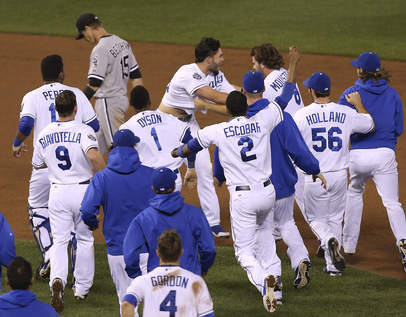 None was bigger than losing Salvador Perez for the first three months of 2012. Not only was Kansas City not prepared for Perez going down, they lost one of the most important players on this team. Perez has shown a knack for being a team leader, behind the plate and in the dugout. If I had to pick one guy to build this team around, it would be Salvy. Losing him for any amount of time will lessen the Royals chances of being a winning ballclub this year, and also hurt my prediction of him making his first All-Star game appearance in 2013. Wish #3-Luke Hochevar FINALLY turns the corner. I have spent a lot of words on why Luke Hochevar should no longer be a Royal. Too many, in fact. But the ugly truth we Royals fans deal with on a regular basis is that Kansas City management loves Hochevar(or at least his ‘stuff’) and still think he is thisclose to turning the corner and being a top of the line starter. This spring alone we have already heard that he should win ’15-18 games'(thanks, Ned and Dave) and that he figured out a flaw when throwing from the stretch. I personally have my doubts, but I really wish I was wrong. If I am wrong about Hoch, the Royals would have a number five starter who could be more than that. I have no problem being wrong if it means good things for the Royals. So if this wish came true, I would be okay with it. It would also give me a bit more faith in Dayton Moore and Ned Yost, as I have never had so little faith in Kansas City management ever. EVER. 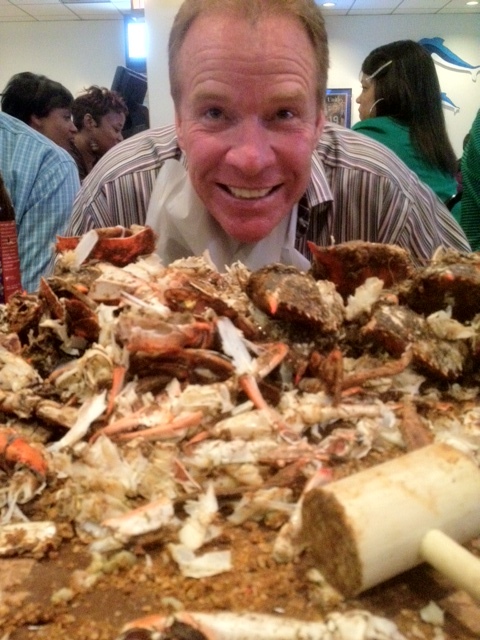 Wish #4-Rex Hudler calms down. I like that Rex Hudler is enthusiastic about the game. I like that he really wanted us Royals fans to like him right out of the gate. But we can tell when someone is trying too hard. Rex was not only trying too hard, he seemed to be a guy who went on a meth bender right before first pitch. As the season progressed, Hudler toned down his act, but at times he went back to ‘Beavis wired up on sugar and chanting about the great Cornholio’ Rex, and THAT Rex needs to go. Also, if he could get his facts right, that would be great. It’s not good when I am sitting at home shaking my head, going ‘No, Rex, that isn’t right’. Facts are facts. Anyway, a much calmer, serene Wonder Dog would be great for 2013. Dial it down, Dog. Wish #5-A Second Baseman is finally crowned. Have you ever really liked a girl(or boy) who no matter what you did you just couldn’t get them to give you chance? You would finally convince them to spend some time with you, hoping this was the time that they would finally see how great you were. But then that day would arrive and she would cancel to hang out with her friends-or some guy named Brad. Guys named Brad are normally douchebags. Just saying. Anyway, in the end you felt lead on while never really being given an honest shake at something that could be pretty good. That is the relationship that Johnny Giavotella has with the Royals. It is safe to say this is Johnny’s last chance with Kansas City, and already he looks like Brad is being given more face time. Ask most Royals fans, and they will tell you Chris Getz is going to win the second base job. Fine. Let it be. If that is the case, then it is time for the Royals to trade Gio. Work out a deal with Oakland and swap Gio for Jemile Weeks. Let him leave as a free agent. Hell, trade him to a Central division foe and watch him flourish. Either way, let’s have some finality to this. Leading Johnny on is just going to lead to hurt feelings. It’s time for him to move on and find a girl who also thinks Brad is a douche. This probably should be number one. I’ve wanted him fired since April of last year. Let’s make this short and sweet. 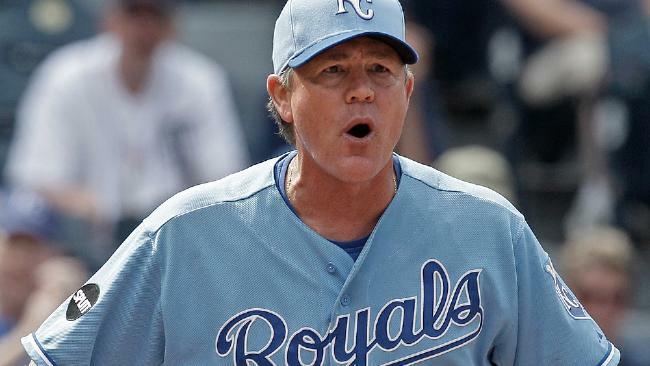 Yost ISN’T the manager to take Kansas City to the promised land. If anything, he will end up hurting this team at an inopportune time. Ask any Brewers fan. It is just not meant to be. If the Royals are in the chase come September, do you want them to go down in flames down the stretch because Neddy(or Franky) can’t handle the pressure? Fire Yost. Now. Wish #7-Alex Gordon goes back to leadoff. 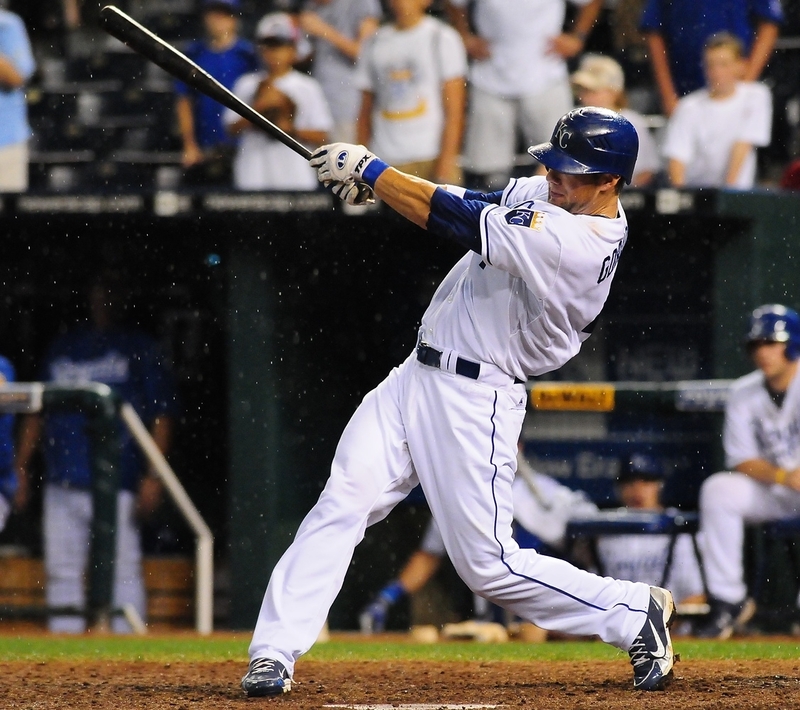 In Alex Gordon’s breakout 2011 season, Gordon was put into the leadoff spot, and took off. For whatever reason, being put at the top of the order worked for Alex and looked to be the most comfortable he has been since his debut in the big league’s. Last season, Gordon was juggled around most of the season, but the last few months he was pushed down to third in the order. While he didn’t do bad there, he didn’t flourish like he did at leadoff. For the Royals to utilize their talent to the best of their ability, Gordon needs to be back at the top. Now, it looks as if A1 being back there is tied in with whether Hosmer finds his groove and moves back to third in the lineup. Even if Hos isn’t like Stella, the Royals need Gordon to leadoff. They can juggle the middle of the lineup, but leadoff just doesn’t have any options. A1 is your man. Wish #8-Give Luis Mendoza a chance in the rotation. I know, the Royals finally have a real starting rotation. Depth is included this year, which can only mean the Kung-Fu grip is next. But one pitcher who seems to be left out of the picture is a guy who was probably the best starter in the second half last year(other than maybe Jeremy Guthrie), Luis Mendoza. Mendoza followed up a surprising 2012 with a great showing in the Caribbean World Series this winter. After all this, and manager Ned Yost still sees him as a long reliever. 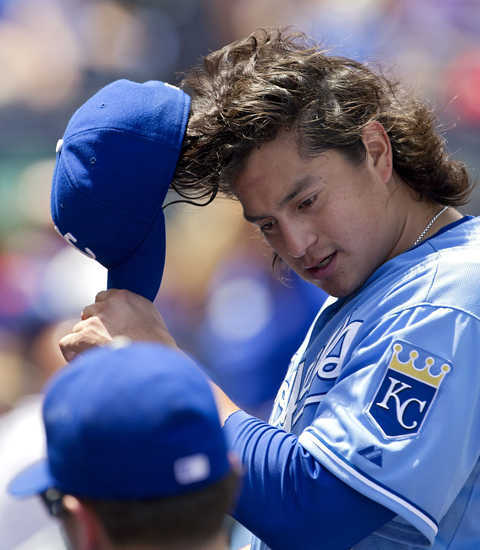 I would not be surprised to see a few injuries hit the Royals rotation [*cough* Santana] and Mendoza slip in and weave his magic. I’m pretty sure it’s the hair. I think that’s the key to his success. No matter what, the Royals need to at least be open to the idea of him being in the rotation. It’s not always as simple as what you picture your players being. Sometimes performance does matter. 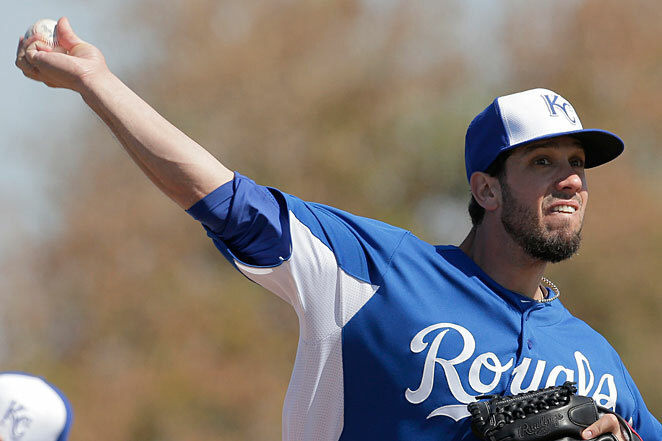 Wish #9-James Shields becomes an Ace. Now, I know some people already consider him an ace. Sure, ‘Big Game James’ has shown over the years to have a propensity to throw a lot of innings while keeping the Rays in the game. I’m not saying he isn’t a top starter. What I am saying is he has always been a solid number two, which is not quite an ace. The Royals need Shields to go out there this year and show them that they did not make a mistake by giving away six years of Wil Myers for two years of Shields. The only way that really happens is for James to step up and lead the staff. He needs to stop losing streaks, pitch deep into the game and leave the game with a lead. If that happens, then there is a good chance the Royals have their ace. If runs add up and his ERA climbs, then you have a problem. From everything I’ve seen, Shields seems to have a bulldog mentality, which should help him. He wants to lead, which is good, as the Royals are giving him the keys to the car. No need to wreck it into Ned Yost’s Winnebago. Wish #10-Alcides Escobar gets the respect he deserves. 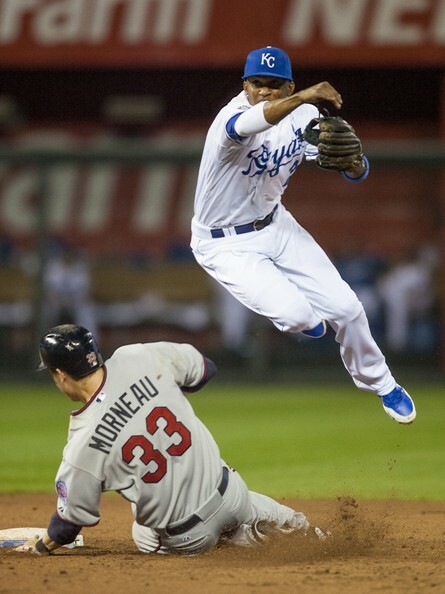 During Alcides Escobar’s first season in Kansas City, he would routinely make dazzling play’s on a regular basis. It earned him the nickname ‘Shortstop Jesus’. What we have seen the past two seasons has been one of the top defensive shortstops in all of baseball, let alone one who upped his offensive game in 2012. Yet, you won’t see him on any list for one of the best shortstops in the game. He hasn’t even been a finalist for the Gold Glove the last two seasons, despite his continued great play. I really hope this is the season baseball finally takes notice of just what Escobar can do, as he has easily been one of the best shortstops ALREADY in Royals history. Sure, I’ve seen some of the fancy sabermetric stats that show Escobar to not QUITE being as good as we Royals fans think. But lets be honest here; sometimes we still have to use the eye test. If everyone else saw what we see on a nightly basis, we wouldn’t be talking about the lack of respect given to him. Instead we would be talking about him being one of the top ten shortstops in the game. I am Cornholio….hehehhehehheheheh. Sorry man couldn’t resist. With you top to bottom on that list!